Charles will be playing a little differently solo (than the usual loop-happy set, hidden behind a veil of electronics and studio trickery), as part of the wonderful Jennifer O’Connor’s new monthly “Tower of Song” series at the Rock Shop in Brooklyn on Tues. Feb. 8th. Also on this one are the equally estimable Richard Baluyut (of Versus) and Kendall Meade (of Mascott). With this, the coldest day in August that I can remember, another sign of the End of Days is made manifest in our webby store – Meadowlands, in vinyl, the record, the actual album…is back in stock! ..
May come as a surprise, may probably not, but I, charles, am not only not the coolest person in the band, I’m not even the coolest person in our house. In fact, the arrival of children has now cemented my ‘not even by a long shot’ status. 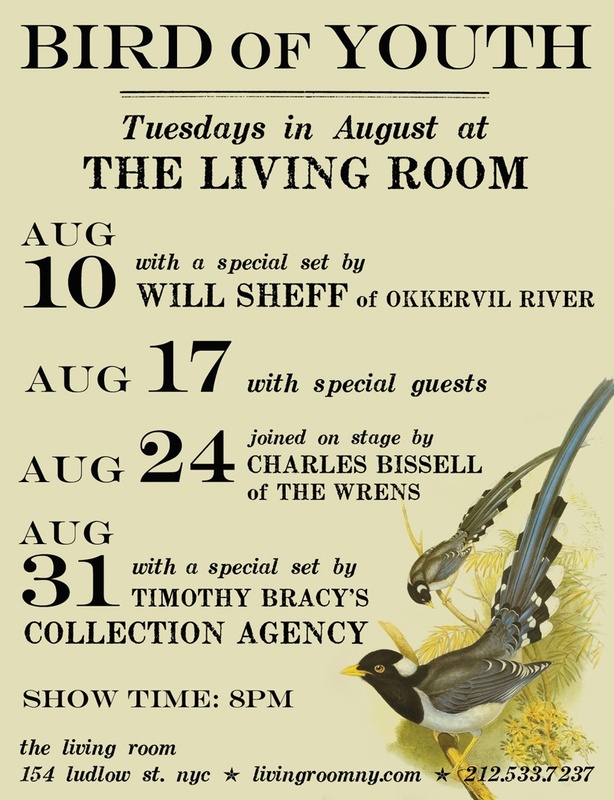 On Wed October 06, 2010 Charles will be playing in Brooklyn, NY at the Rock Shop. charles will be playing a solo show at the Rock Shop in Brooklyn, next Wed., Oct. 6th opening up for our dear pal Tim Kasher, who’s usually fronting a little band called Cursive, but currently hitting the highway supporting his new solo album, the Game of Monogamy (which is wonderful, by the way). Just a little reminder that the Dear New Orleans benefit album is released today via your preferred places of musical e-commerce (iTunes, Amazon, Rhapsody and eMusic) and includes our song Crescent from our own forthcoming album. You can read tons about it here (or just hit the “page down” button). To mark the five-year anniversary of Hurricane Katrina - and in response to the Gulf Oil Disaster also deeply affecting the region – the folks at Air Traffic Control have produced “Dear New Orleans”, a digital-only benefit compilation, the proceeds of which will be granted to a range of New Orleans-based nonprofit organizations including Sweet Home New Orleans and Gulf Restoration Network. To do our tiny part, we have a new song, “Crescent”, included on “Dear New Orleans” which will be released & available for download on Tuesday, August 24th..
..forgot to mention, the working title of the next record is "funeral". ...our second four-wren get-together in 10 days with new songs of Kevin’s & Greg’s gone over. Back at home, Charles continues to be on veritable fire writing & recording (5 songs in the last week and a half). Really, all around a red-letter week or so for the veterans and our most productive 10 days since our seminal work on quantum theory in the ‘20s. ..